Nader Sanai, MD, FAANS, FACS is Francis & Dionne Najafi Professor of Neurosurgical Oncology at the Barrow Neurological Institute in Phoenix. 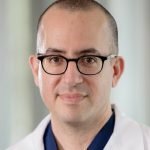 He is an internationally-recognized neurosurgical oncologist with clinical and research expertise in the treatment of all brain tumors and is the principal architect of the Ivy Center’s accelerated Phase 0-2 clinical trials program, the largest in the word. Together with a multidisciplinary team of scientists, clinicians, and nurses, Sanai specializes in identifying new, first-in-class therapeutic agents that match the individual biologies of brain tumor patients. The Ivy Center’s precision medicine program is the first of its kind in neuro-oncology and reflects Sanai’s commitment to pushing the envelope for brain tumor patients around the world.